Seth Godin, one of my favorite business/marketing bloggers, posted a “thank you” note today on his blog (here), to Gregg. Gregg is an airport parking lot attendant, who just did his job, but did it willingly, and without care for financial reward. That kind of “no problem, it’s my job” approach is an inspiration in a day when so many are finding excuses to say “that’s not my job”. 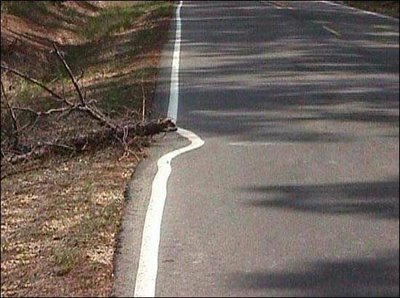 The question I ask you (and myself), is how many times do WE find ourselves saying “that’s not my job”. Are you a missionary? Are you spreading the word about the gospel? What other popular “that’s not my job” excuses are there? Yesterday, CNN had an article entitled “How air pollution hurts your kids’ lungs“. It describes how many of our children suffer from asthma – a condition where your airway constricts, making it very difficult to breathe. The article describes how substantially our kids are affected by environmental pollutants because their lungs are not yet fully developed. In today’s environment we’re surrounded by pollutants that make it difficult for us to breathe. Not all of them are physical; indeed, the most dangerous ones are not. We’re surrounded by pollutants to our mind, to our spirit, to our emotions, as much as to our health. Each of these makes it difficult for us to breathe the sweet fresh air of life and spirit. They cloud our judgment, fog our vision, and threaten our eternal well-being. Not surprisingly, if you go to Google and search for “Air Purifier”, you get 3.6 MILLION results. We’ve gone to great lengths to create mechanisms to clear the physical impurities of the air around us. You can buy them for your house, your car, and even your work area. Yet how much effort do we invest in purifying our environment of the host of other pollutants that threaten us? Are there such “purification” systems in place within our homes? Our children are more affected by environmental pollutants do to their underdeveloped lungs. So too are they extra prone to being adversely affected by the spiritual pollutants that so mercilessly bombard them outside the walls of our homes. Therein lays the urgency of creating environments of “fresh air” for our youth (and ourselves). These reliable safe havens, such as our own homes, where they can be free of the fiery darts of the adversary are vital to their eternal well being, and are indisputably part of our stewardship as parents. May we purify our homes, our conversations, our relationships, our minds, and our actions, that we and those we love might more regularly partake of the fresh air of life and spirit. Act, –act in the living Present! In association with “It is what you make of it” and “The Builders“, by Henry Wadsworth Longfellow, here’s another beautiful poem supporting the same point. In relationship with this post (What are you building? ), the following poem is both enlightening and inspiring. Stumble, as they seek to climb. Once upon a time there was a child whose father gave him a set of blocks and told him to build something – anything, but he had to use all the blocks. Some of the blocks were large and sturdy, creating a natural foundation for his work. Some fit easily, while others were oddly shaped, and seemed to not want to fit anywhere. They felt off-balance, and were pushed aside. But as the creation took shape, these unused blocks began to trouble the child. Knowing they must be used, but at a loss for how to use them, he sought his father’s help. His father, wanting to see his child succeed, offered some suggestions. After more work, lots of trial and error, he toiled over these blocks, carefully following his father’s suggestions. At length, the child was able to complete the task. Owing to the difficulty of the project, he was very pleased with his creation. Interestingly, he was most pleased with the placement of the odd-shaped blocks because they had required so much attention, and hurried to show his father his work. As you can expect, the father was overjoyed at the beautifully unique work his child had created. One of the greatest gifts we’ve been given in life is the ability to create. Each of us has been given our own set of blocks. Some are welcome, solid, and foundational. Others are far more difficult, if not unwanted. But we cannot discard of the blocks we’ve been given. They’re ours. They’re part of who we are, and if we seek our Father’s help, they too can become key elements to our master creation – our life. Some are given more, others are given less. But it doesn’t matter if you build a mansion, or a sandcastle – but rather that you’ve found a place for each block in your own distinct set. We each have a loving Father that we can turn to for suggestions. As we struggle with some of our most difficult blocks, He is there to guide us. He won’t do it for us, but he can show us how to do it. In life, we progress “line upon line, precept upon precept”. We learn that before we can be trusted with more, we must prove ourselves with what we have. We must be profitable stewards of the gifts that we’ve been given. And if we are, we will receive all the Father hath, and will have the opportunity to create much, much more. The following are a couple inspirational poems that shed greater light on the subject with beautiful Prose. See also Life Sculptor, by George Washington Doanne, and A Psalm of Life, also by Henry Wadsworth Longfellow. I have this funny memory of when I was 10 years old. I lived (at that time) in Marion Montana with my mom and second step-dad. We had this aluminum wood shed out back, just between the house and the forest. I spent a lot of time here, chopping firewood to keep the house warm. One day I was outside and for some reason (I’m sure it wasn’t malicious), I stuck the ax into shed. Just swung it over my head and “whump”, it sunk into the metal and left this huge hole. In awe over how cool that felt, I tried it again. And again. And again. Bored now, I stepped farther back, and tried now to throw the ax and make it stick. Several times I succeeded, but I left some mark with each try. Soon I was ducking and weaving like an Indian between trees, finding an opening, and swoosh… my ax would fly through the air and find the shed. Yeah, okay, I was an idiot, and I must have looked ridiculous. It sure was fun while it lasted. But then it wasn’t so fun. Sometimes we do things that cause damage. Sometimes it’s to ourselves, and sometimes it’s to others. What matters most, is that you correct your course early and often, and rely on the Mercy of the Lord for the rest. but, Lord,Be merciful to me, a fool! All day today I’ve been wallowing in spreadsheets, crunching numbers, and measuring progress. The process of measurement is an incredibly powerful principle. If you try to run a business (or a product, or a department, or a team, or a family, or a class, or a relationship, or even your personal salvation), without measuring progress, you end up spending a lot of time going nowhere. You’re completely unaware, oblivious to gains or losses, and therefore incapable of responding when things start to slip. Think back about that last New Year’s Resolution you set? Did you accomplish it? Now let me ask this – did you measure it? Most likely, the answer to the second question will be the same as your answer to the first. In a business, if you want to be profitable, you’ve got to measure your profitability. Only then do you know when you need to cut spending, or when it’s time for another ad, or when you can afford to ramp up your resources. Businesses spend a LOT of time, and energy, and money measuring, because they understand that the process of measurement is critical to success. But in our own personal lives, how much to we measure ourselves? How regularly have you measured the quality of your relationship with your spouse, or your children, or your parents, or your Heavenly Father? How often do you measure your overall spiritual well-being? If you suddenly find yourself surprised at the situation your in, chances are, you weren’t measuring it in the first place. https://life.engineering/wp-content/uploads/2008/04/button1-bm2-1.gif 16 125 Rusty Lindquist https://life.engineering/wp-content/uploads/2018/08/life-engineering-logo-lg-color-web.png Rusty Lindquist2008-04-10 16:37:222008-04-10 16:37:22Do you measure yourself?